Book overload? 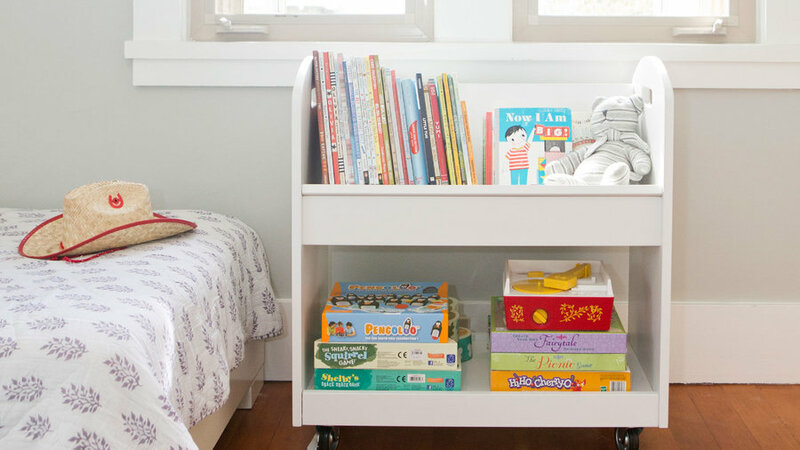 Art ledges are a great way to display current favorites and they make it easy for your little ones to put their own books away. Add a bookshelf or bench with cubbies below for additional storage. A streamlined playroom starts with a good editing session. Empower your children to help with the process by choosing their favorite things and donating anything they’ve outgrown or find “babyish” to your local charity or non-profit. Tired of tripping over piles of toys? Group playroom favorites together in broad categories (music, plush toys, vehicles, etc.) and contain them in open bins, or baskets, to ensure clean-up is a breeze. An abundance of toys, games, and gadgets can be over-stimulating and overwhelming, especially for young children. Limit your child’s selection of toys so that no more than five categories are out at a time (e.g. MagnaTiles, Legos, blocks, play kitchen, and dress-up). You can store additional items in a closet, basement, or garage, and rotate out occasionally to keep things fresh as interests evolve. 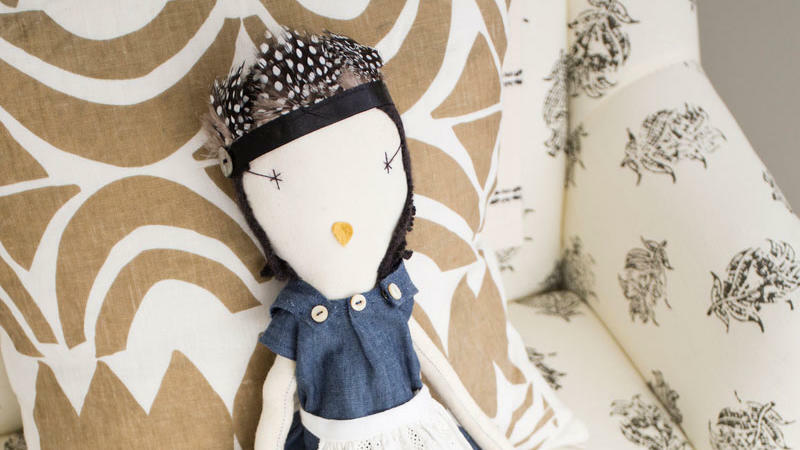 Invest in timeless items such as dolls, art supplies, board games, and wooden blocks that will stand the test of time and work for all ages. Remember: The less you buy, the less you have to organize, clean, and maintain! 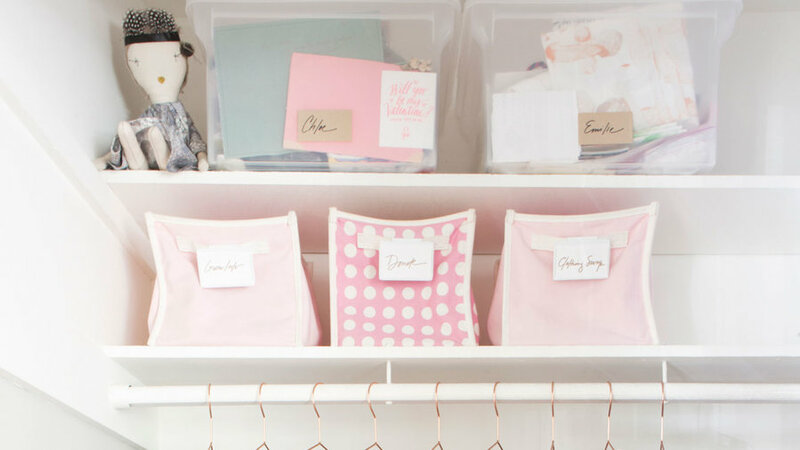 Set up a clearly labeled bin for each child to store his or her sentimental items and treasures. These “treasure boxes” are perfect for collecting and safely storing mementos, awards, certificates, and other special memorabilia. 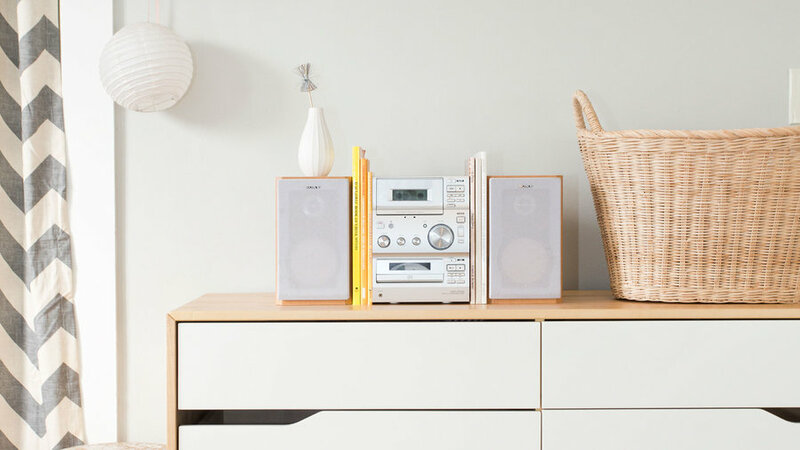 Think outside the box with creative storage solutions and make sure to choose options that reflect your personal style and conform to the aesthetic of your home. 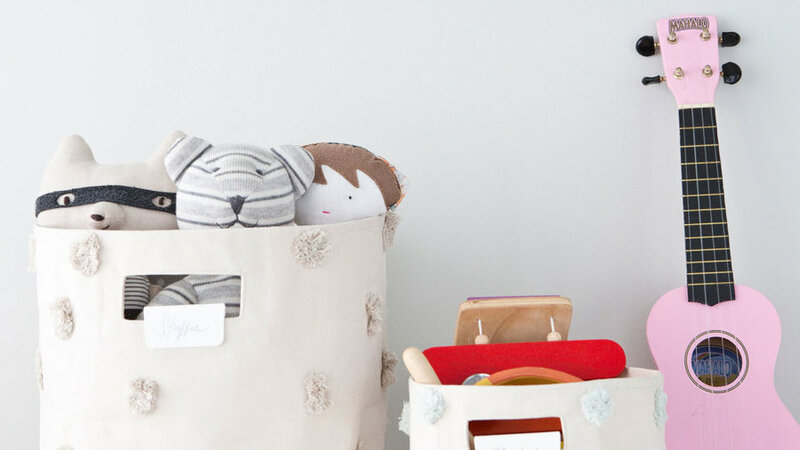 Pretty, open bins and baskets are great for containing plush toys, music, and blocks; credenzas, bookshelves, and dressers work well for housing larger games and puzzles. Art supplies can take up a substantial amount of space. 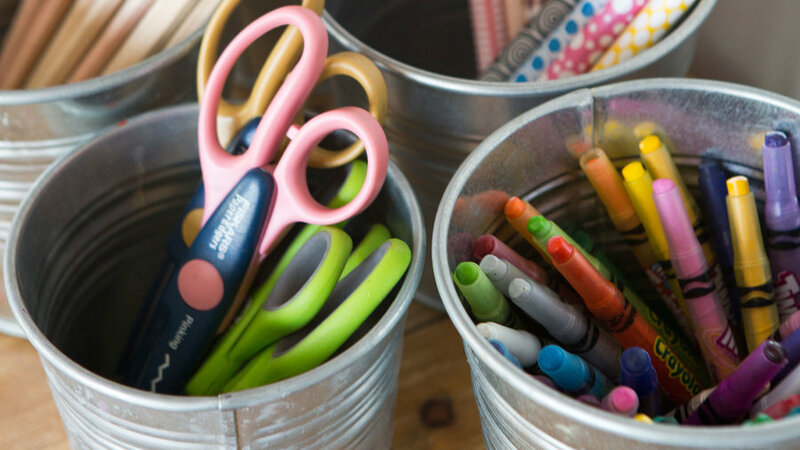 Streamline your craft area by eliminating all packaging and storing supplies in pencil cups or metal art caddies. 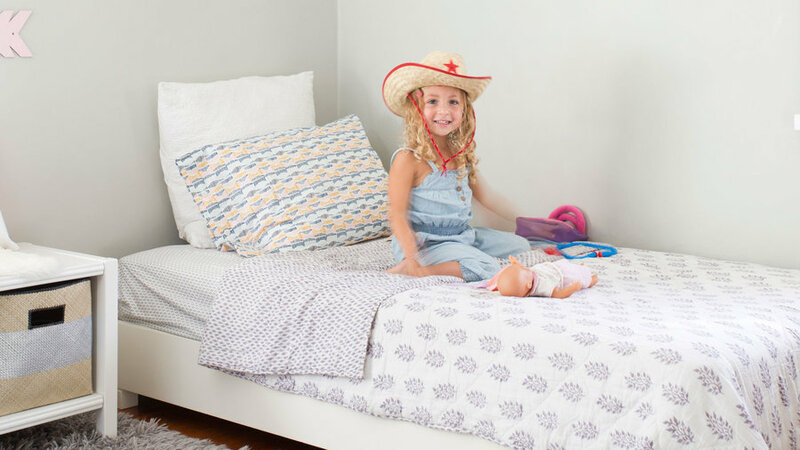 Establish a consistent clean-up routine by making sure your little ones clear away one project before transitioning to the next activity. 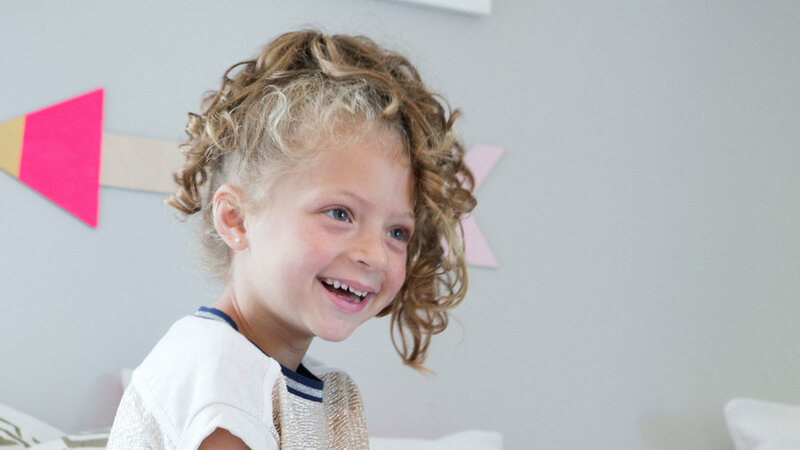 Once established, this simple habit will teach your children to be responsible and respectful and will prevent massive clean-ups at the end of each day. Less is more. Trust that, given the opportunity and space, children will be endlessly creative and resourceful. Trendy toys and gadgets will come in and out of favor, but building a pillow fort or making a tower out of a cardboard box will never go out of style. Follow Shira Gill on Instagram for weekly tips and inspiration. 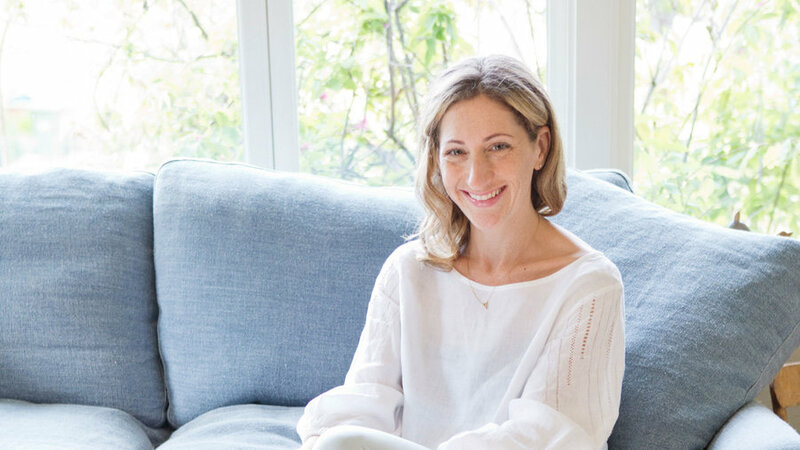 Shira is the founder of , a boutique lifestyle brand with a “less is more” philosophy that offers on-site, full service home organization and styling as well as online resources and inspiration to help you design a clutter-free life.